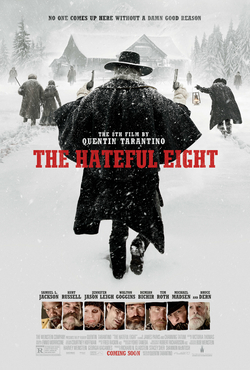 Tarantino’s latest won’t be for everyone, but I found ‘The Hateful Eight‘ to be a terrific, tense cinematic experience about a group of nefarious people who find themselves holed up in a stagecoach stopover during a blizzard. Playing out much like a stage play, this is a riveting drama with superb performances throughout. 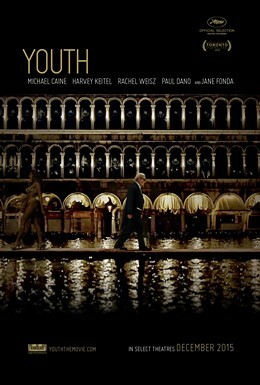 The beautifully crafted follow up to the excellent, ‘The Great Beauty‘, ‘Youth‘ is a moving meditation on life, regrets and the past, seen through the eyes of Michael Caine’s retired composer. It’s also notable for one of the best soundtracks in recent times. 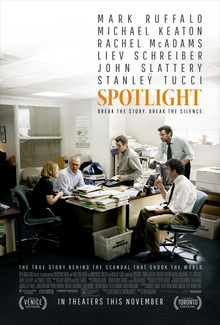 This month’s best film is an engrossing and gripping drama that does justice to its shocking subject matter with a suitably powerful narrative and strong performances throughout the cast. It would be hard to make a bad film out of such strong material but Tom McCarthy’s restrained and low key approach to his direction makes this all the better, and it’s well worth anyone’s time.